There are many filters that are designed to work with gray-scale images but not with color images. To simplify the process of creating functions that can adapt to RGB images, scikit-image provides the adapt_rgb decorator. Pass each of the RGB channels to the filter one-by-one, and stitch the results back into an RGB image. 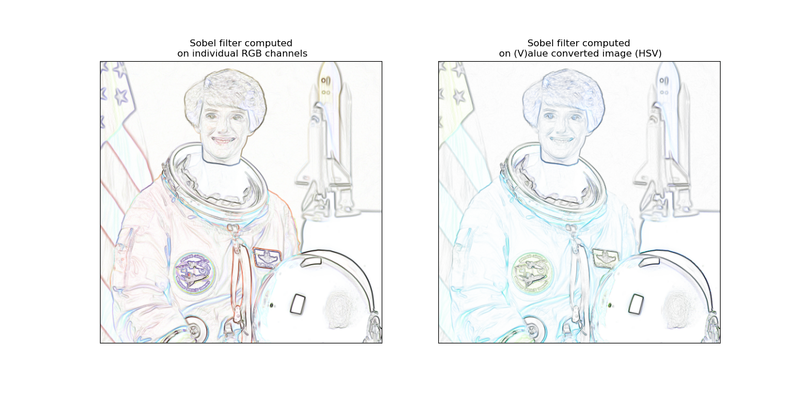 Convert the RGB image to HSV and pass the value channel to the filter. The filtered result is inserted back into the HSV image and converted back to RGB. Notice that the result for the value-filtered image preserves the color of the original image, but channel filtered image combines in a more surprising way. In other common cases, smoothing for example, the channel filtered image will produce a better result than the value-filtered image. 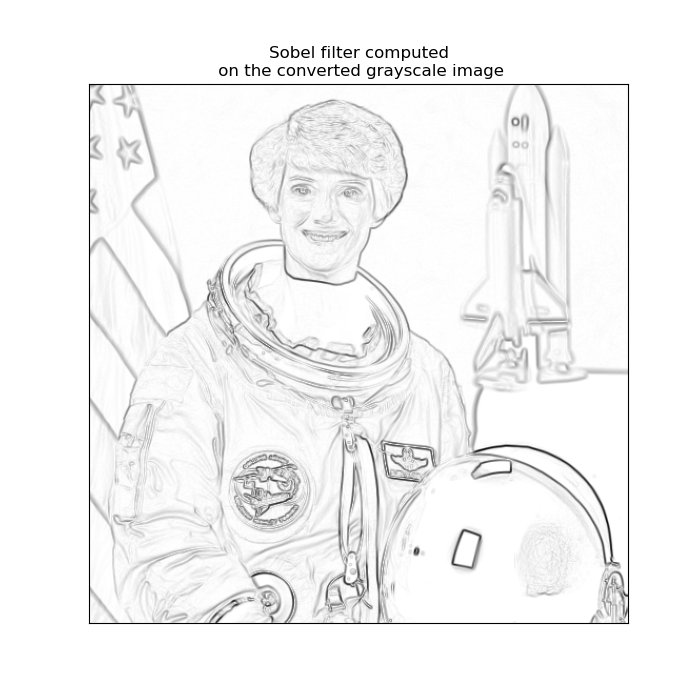 Note that adapt_rgb handlers are written for filters where the image is the first argument. It’s important to create a signature that uses *args and **kwargs to pass arguments along to the filter so that the decorated function is allowed to have any number of positional and keyword arguments. A very simple check of the array shape is used for detecting RGB images, so adapt_rgb is not recommended for functions that support 3D volumes or color images in non-RGB spaces.